In 2016 E-RIHS entered the ESFRI roadmap as the unique project in the field of social and cultural innovation. European heritage science is globally leading, and is supported by innovative research techniques that require complementary skills and knowledge from a range of disciplines. In this context, E-RIHS connects researchers and delivers innovation in heritage science by interfacing humanities research with science, technology, engineering and mathematics (STEM), as well as information and communications technologies (ICT). Its trans-disciplinary innovative approach meets the new challenges of the European Research Area (ERA). E-RIHS represents an advanced community that has been systematically developing since 1999 and it is based on the preliminary work done in the framework of the past EU projects. E-RIHS fosters the culture of cooperation to enable growth of the ERA, by building collaborations with other projects, initiatives and research infrastructures. Further developments are planned for connecting and including partners and facilities outside the EU, and gradually reaching the status of a global distributed Research Infrastructure (see international collaborations). Read the ESFRI roadmap 2018 about E-RIHS and Social and Cultural Innovation. IPERION CH integrates national facilities of recognized excellence in Heritage Science and offers access to a wide range of high-level scientific instruments, methodologies, data and tools for advancing knowledge and innovation in the preservation of Cultural Heritage; connects researchers in the Humanities and Natural Sciences and fosters a trans-disciplinary culture of exchange and cooperation for the growth of the European Research Area. 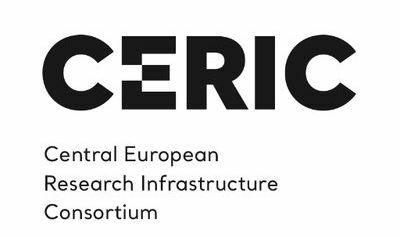 CERIC-ERIC is an integrated multidisciplinary and multiprobe Research Infrastructure open for external basic and applied users in the fields of Materials, Biomaterials and Nanotechnology. With a single entry point it allows to use excellent facilities in 7 European Countries. Free access is by international peer review selection and open publication, industrial and/or proprietary use is at market costs. The main objective of JPI on Cultural Heritage addresses the strong relationships that link cultural heritage, conservation, technological innovation and economic development within the dynamic framework of the challenges and competitiveness in an enlarged European Union and its efforts are striving to generate an in-depth, shared understanding of issues with the view of providing an improved knowledge base for policies in the fields concerned most important aspects as migration and integration, quality of life and global interdependence. A concerted research action allows Member States to maximize and exploit at best their research efforts. The ARIADNE infrastructure brings together and integrates existing archaeological research data infrastructures so that researchers can use the various distributed datasets and new and powerful technologies as an integral component of the archaeological research methodology. DARIAH-ERIC is a pan-European open Research Infrastructure Consortium for arts and humanities scholars working with computational methods. It supports digital research as well as the teaching of digital research methods. DARIAH connects several hundreds of scholars and dozens of research facilities in currently 17 European countries. The mission of the European Holocaust Research Infrastructure (EHRI) is to support the Holocaust research community by building a digital infrastructure and facilitating human networks. EHRI provides online access to information about dispersed sources relating to the Holocaust through its Online Portal, and tools and methods that enable researchers and archivists to collaboratively work with such sources. Apart from providing an online platform, EHRI also facilitates an extensive network of researchers, archivists and others to increase cohesion and co-ordination among practitioners and to initiate new transnational and collaborative approaches to the study of the Holocaust. PARTHENOS provides common solutions to the definition and implementation of joint policies and solutions for the humanities and linguistic data lifecycle. PARTHENOS aims at strengthening the cohesion of research in the broad sector of Linguistic Studies, Humanities, Cultural Heritage, History, Archaeology and related fields through a thematic cluster of European Research Infrastructures, integrating initiatives, e-infrastructures and other world-class infrastructures, and building bridges between different, although tightly, interrelated fields.